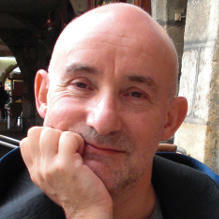 Keith came to the Trust as Director of Programmes in 2003, holding the post until 2010. He graduated as a psychotherapist from the Institute of Psychosynthesis in north London in 1990 where he subsequently undertook supervisor and Right Relations group training. Having graduated from the University of Cambridge, he trained and worked in professional Community Work, and then became a freelance trainer and organisational consultant specialising in team conflict. For 10 years, prior to coming to the Trust, he was Head of Student Counselling at Central School of Speech and Drama in London. He holds an MSc in Training from the University of Leicester and is a qualified practitioner of the Alexander Technique. For some years he has been Chair of Training Standards of the Humanistic & Integrative College of UKCP, and has been a long-standing Associate of Pink Therapy, a network of practitioners specialising in LGBT issues. Apart from psychotherapy, his interests include swimming, modern architecture and design. He is also a Fellow of the Royal Society of Arts. Keith’s interests in the Trust are now mainly centred around supervision and training standards. He has also been keen to develop theory embracing post-modern perspectives on the practice of therapy in the 21st century. He values the diversity of approaches at the Trust, allowing staff and students to develop their own understanding of psychosynthesis. Among the additional trainings he has undertaken, he values Lifespan Integration and Emotional Freedom Technique. He has been involved in psychosynthesis internationally, mainly through the European Federation for Psychosynthesis Psychotherapy, running workshops at international conferences, and has contributed to the dedicated psychosynthesis edition of the International Journal of Psychotherapy. He runs a private practice both at the Trust and at his home in Rotherhithe.